In a society where children live under the pressure of failure, the agony of bullying, and the need to be like everyone else, the story of Amazing Matilda, written by author Bette A. Stevens tells an interesting tale of getting through life while you march forward to become that which you were called to be. Just have patience and follow your instinct. These two essentials themes of life run throughout the book. Matilda is Stevens’ protagonist, and she is born with the desire to fly. She knows what she what she wants to do, but the path to achieving it is tedious. It takes place in stages. Nothing happens overnight. Thus, Amazing Matilda a book directed at children can be a source of encouragement for both children and adults. The message is loud, simple and clear. Remain persistent, be patient, and don’t let anyone convince you to give up on your dream. A lesson we adults forget to do for fear of being different or of standing out in the crowd. Accompanied with colorful drawings, Stevens imprints on the mind of her readers, both small and large, the necessity to follow your inner voice, to expect change as you grow and above all to be patient. It is a message we all must learn. Author Bette A. Stevens has done an excellent job comparing the development of Matilda with advancing through life. She weaves a beautifully written story together that shows diligence, hard work, patience, and persistence pay off. Congratulations! 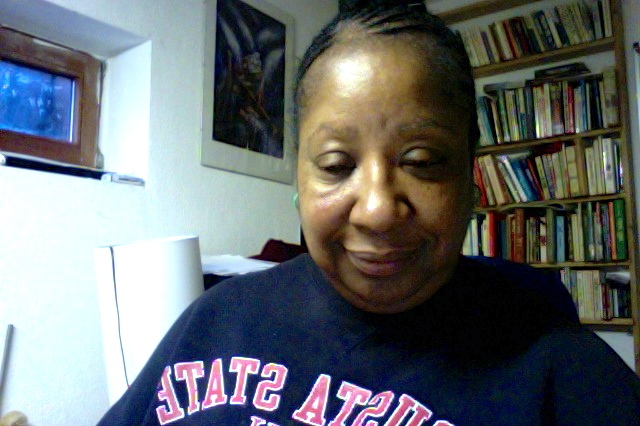 Ms. Bette A. Stevens. You have written an outstanding tale of hope. Thank you for the intuitive way you addressed the traits of patience and persistence. It is refreshing to read a book, which spurs the human spirit in a person to succeed. Just have patience and follow your instinct, a beautiful quote we should all remember. 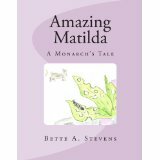 Amazing Matilda by Bette A. Stevens can be purchased over Amazon. You are welcome. It was a pleasure reading Amazing Matilda. I read it twice and I know I will read it again because it has such an inspiring message. A dear friend of mine, Susan Scott, a prominent psychologist from South Africa read the review and has channeled the review in her network in South Africa. Amazing Matilda is a book that has come out at the right time, so keep pushing it and don’t give up. Wow Pat, what a fabulous review of Bette A. Stevens’ book, AMAZING MATHILDA. I especially loved that the book talks about inspiring the human spirit to succeed. It sounds like a perfect book for school children as well as adults. I’ll have to see if I can find it for my grandchildren. Thanks for the dynamite review. Good morning and thank you for visiting and reading the review. Bette A. Stevens has definitely wrote a powerful children’s book that is good adult reading too. I love her message that comes across with hope and love, “just follow your instinct and be patient.” This is a lesson that we all need to learn. I have already read the book twice and will be reading it again. it is a book that builds up the human spirit to be persistent and keep going. Thank you once again my dear friend and this would definitely be a great book for your grandchildren. What a great review! I hope you are available on Kindle. I’m going to go check! 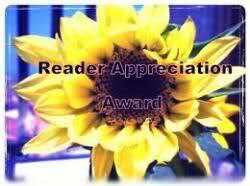 Thank you so much for visiting my blog and your compliment on the review. Amazing Matilda is a fantastic book and I have read it twice. It is a small book of inspiration and encouragement. I hope you found it in Kindle. It should be there because I bought my e copy over Amazon Kindle. Beautifully written review, Patricia. Spot on. Betty A. Stevens’s “Amazing Matilda” is a story we need to read now and again to remind us to trust our dreams and follow them thus not allowing negative events pull us off track. You are so right. In a world where we have so many distractions and people try to pressure us to be what they wants us to be, this book is spot on. Thank you my dear for your comments and for your loyal support. My pleasure, Patricia. And I see I have misspelled Bette’s name. I hereby correct it. I am lagging behind on responding to comments, so forgive me for just getting back to you. I want to say thank you for your comment and your link recommendation. I hope that Amazing Matilda is making big steps in the book world. I myself still receive strength and encouragement from Matilda, the butterfly. So good to hear from you and to find that Matilda continues to encourage you. She’s maintained a spot on Amazon’s Top 10 (kindle in her category) since her first trip around the world and now has ELEVEN 5-Star Reviews on Amazon. AMAZING MATILDA will be FREE flying again next Sunday & Monday — MARCH 24th – 25th and I hope that many more readers will get their copy and tell their friends. Thank you so much for your own wonderful review and for the plethora of encouragement and support you so graciously supply to MATILDA & me! It’s a privilege to have you as a friend.